This species makes a dense clump of dark green grassy leaves. 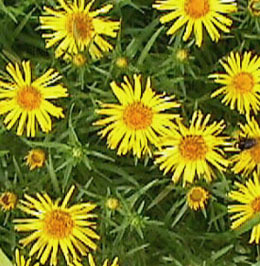 The plant is covered with 2" yellow flowers in midsummer. Nice for the front of the flower border. A good butterfly nectar source.